A group of engineers have succeeded in developing a new jet engine tech that will help improve the fuel efficiency by around 4-8% and NASA is testing this out. These engineers designed a special type of engine propulsor that is composed of a fan and a part called the inlet. This inlet is designed in a manner so that it will be embedded into the jet plane’s body and is used for the purpose of propelling air into the engine. For those who don’t know, jet engines are normally placed away from the surface of the vehicle. The purpose of this separation is because as the vehicle zooms through the sky, a film of distorted air or more commonly referred to as the boundary layer, forms around the plane. This is a hindrance for engines, but things are different for the newly designed engine. It is designed to take advantage of the boundary layer instead. The question that comes in mind at this point is that what does the boundary layer do? 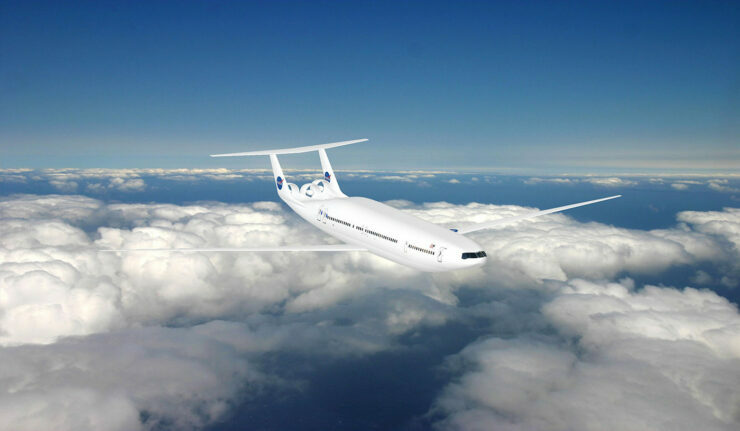 Basically the boundary layer’s flow can damage fans and the team from United Technologies Research Center and Virginia Polytechnic and State University had to create much stronger fans to prevent this wreckage. Engineers at NASA’s Glenn Research Center in Cleveland spent years in trying to modify the facility’s wind tunnel so that it could fit into the system. This is the first ever propulsor that is designed so that it will ‘consume’ the distorted boundary layer and is being tested. The Glenn Center engineers will be putting this engine through multiple tests to ensure that it works properly. These tests will involve multiple conditioning tests that will involve testing under different wind speeds, vary boundary layer thickness etc. to study the “propulsor’s performance, operability and structure”. It’s a pretty new kind of jet engine tech that NASA has taken under its wing but it may bring better and efficient planes in the future if it passes the tests. So let’s see what happens.